15 points maximum ‐ Submit only (1) Letter of Recommendation, signed. Failure to submit any of the above requirements is an automatic 0 points in that category with the exception of references on file with IACS. If more than one Letter of Recommendation is sent, only one will be chosen and considered. 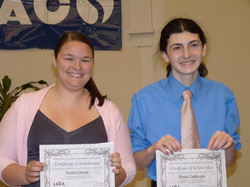 The IACA is proud to present two $1,000 Scholarship Awards! 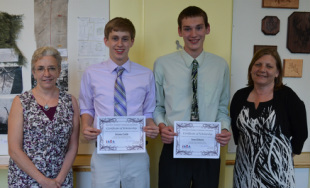 The 2013 winners of this years scholarships are Jeremy Cottle & Sean Flaherty! On behalf of the IACA, we wish the senior class of 2013 all the best in your future endeavors. 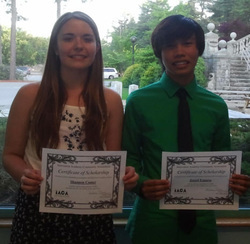 On May 26th 2011 at the Junior / Senior Awards Night, the IACA was proud to present for the first time, two $1,000 Scholarship Awards!